When it comes to giving back to the communities in which we live and work, as always, our parent company, Klick, wouldn’t settle for the status quo. We’re proud to have recently been named on the 2019 List of Best Workplaces™ for Giving Back, only 6 months after being named an ‘Urban Hero‘ for our commitment to making a difference in the lives of others through conscious acts of giving. Today, we’re taking a moment to share our strategy for success with you! The Klick corporate social responsibility (CSR) program leverages two of our greatest assets: (1) our passionate team members and (2) our innovative technology. What sets our corporate giving strategy apart from many others is our grassroots approach – we don’t tell our team members which causes we’re supporting throughout the year – they tell us! Klicksters, as Klick’s team members are called, have the opportunity to champion campaigns throughout the year, starting off by nominating causes close to their hearts on #GivingTuesday (the Tuesday after the intense shopping of Black Friday and Cyber Monday). 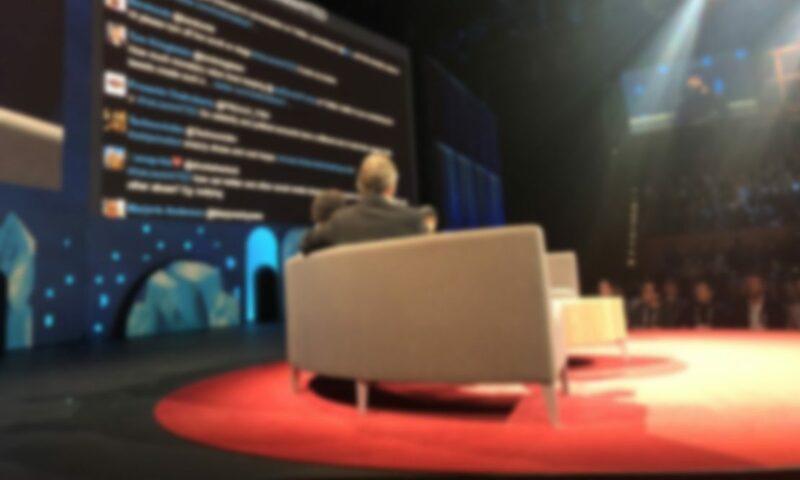 On this most philanthropic day of the year, we ask Klicksters to pitch the charities they want to support to the rest of the company through Connect, the social network built into our instance of SenseiOS™. They also have to show their enthusiasm by highlighting the fun and innovative ways they plan to champion their cause internally. The nominations with the most votes from our team members win a spot on our Klick Cares calendar for the following year! 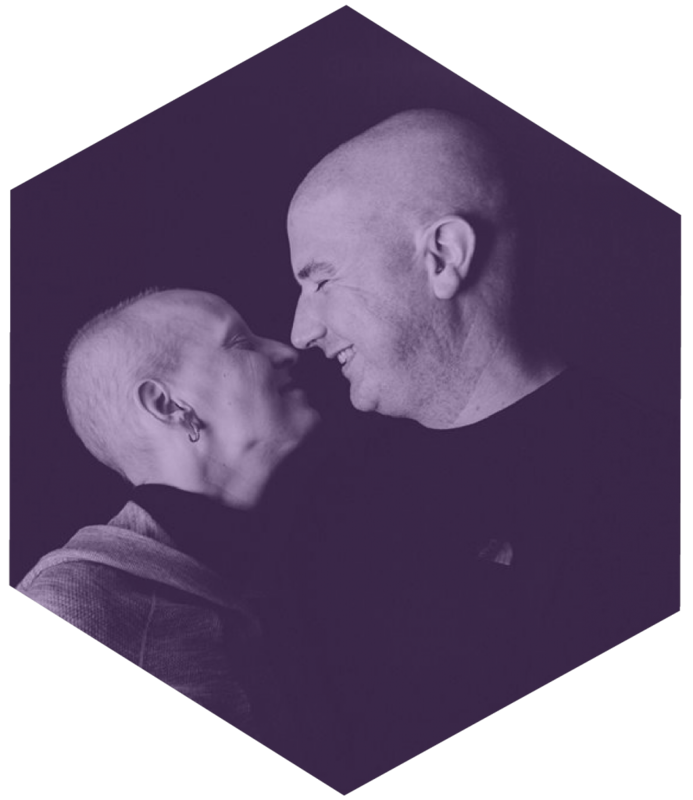 Last #GivingTuesday, the nominated charity that received the most votes was Melanie’s Way, a foundation that creates a personalized “wish” for women with metastatic cancer. The Klickster that nominated this charity knew Melanie personally before she passed away and did an incredible job of advocating and fundraising for the cause throughout the month of January. 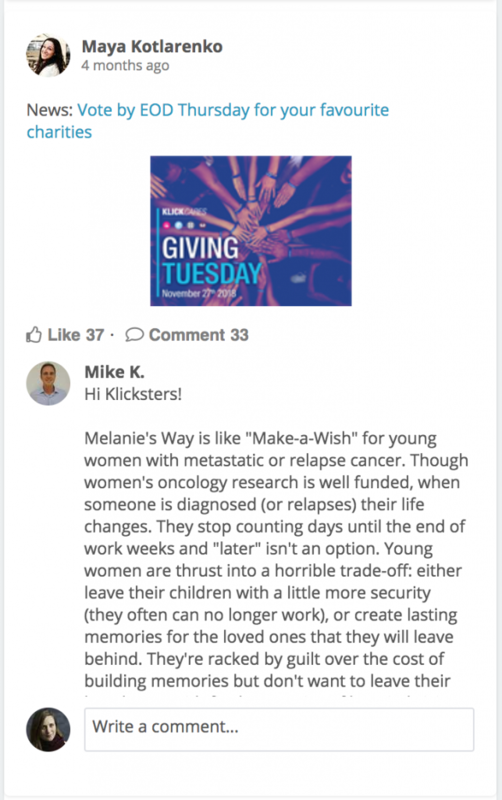 Because Melanie’s Way is a smaller, less-known charity, having the opportunity to use our platform to amplify their voice had an enormous impact for them and was also very meaningful to Klicksters who could see their donations going directly towards funding women’s wishes. In honour of Melanie, we made Klicksters’ wishes come true by holding a silent auction full of awesome activities with some of their favourite senior leaders. 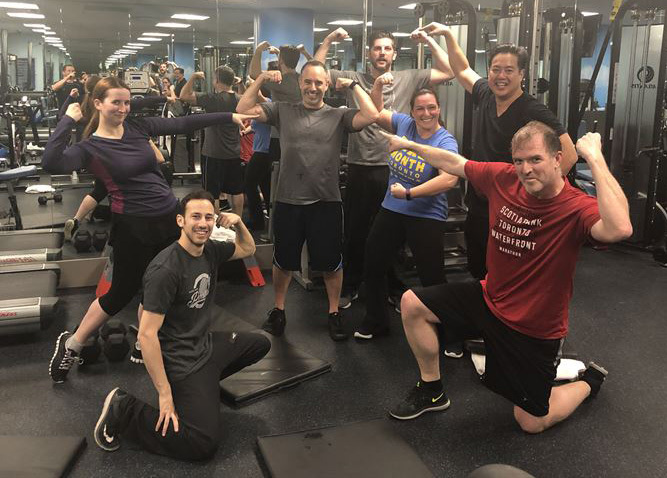 Our very own Jay Goldman hosted a workout class in our in-house gym, and participants had to outbid each other for a chance to get buff! 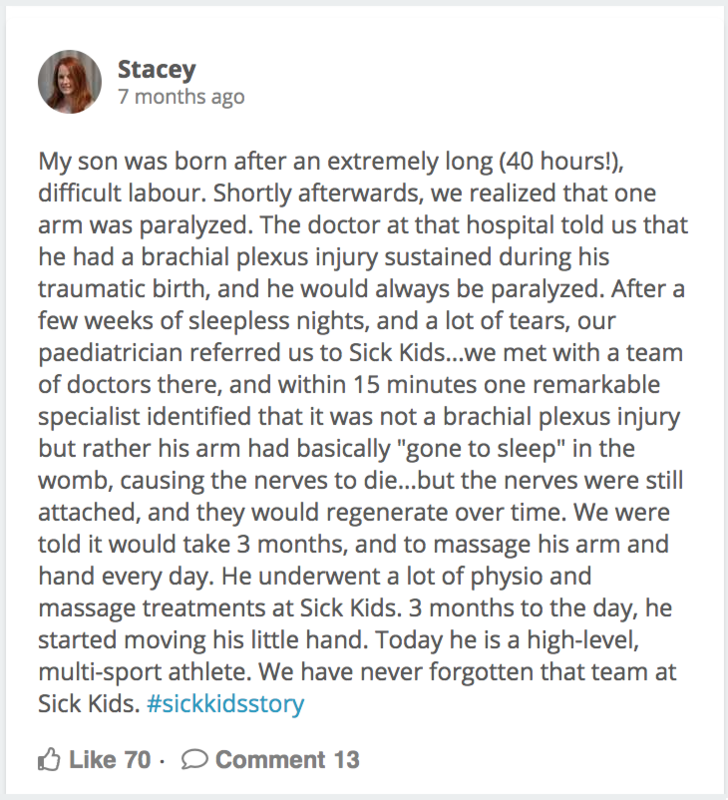 During our All In for SickKids campaign, we asked Klicksters to use Connect to share their #sickkidsstory. So many Klicksters have been personally impacted by the hospital and by sharing our experiences, we learned more about each other and created bonds across our teams. 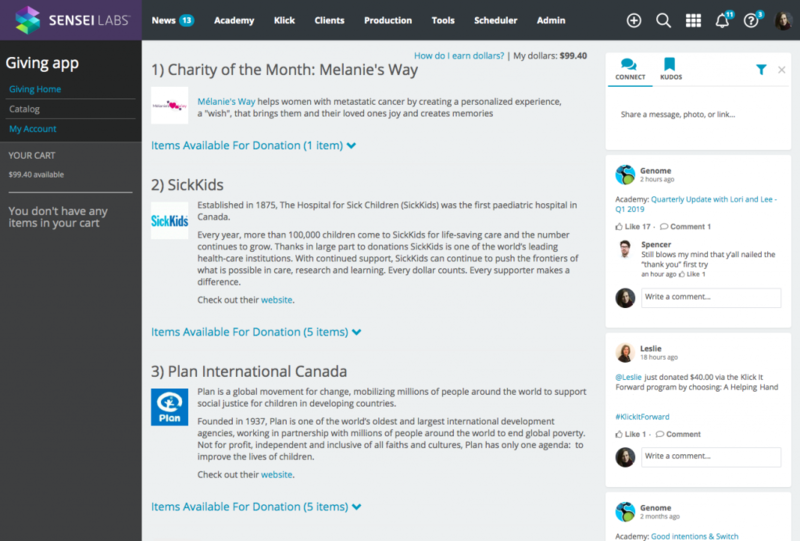 For every story shared, Klick made a donation to the SickKids foundation. As part of our International Women’s Day activations, we challenged Klicksters to take part in women-centric trivia. 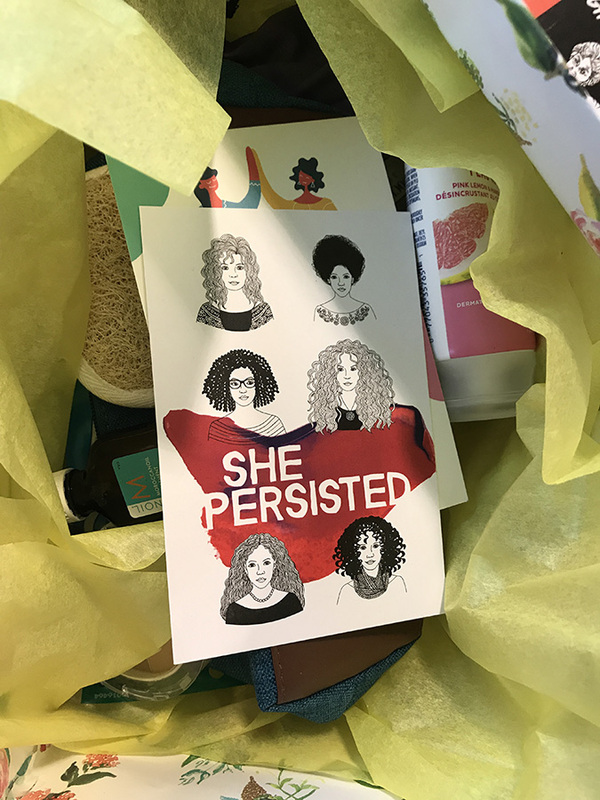 Teams made a donation to participate and for the opportunity to learn more about famous artists, activists, and scientists (to name a few) who changed Herstory. All proceeds were donated to The Shoebox Project, which collects and distributes gift-filled Shoeboxes to women impacted by homelessness in communities across Canada and the US. Although each month’s fundraising initiatives will look a bit different, there is one common element across all of our charitable campaigns that gives everyone an easy and consistent way to donate: the Giving app! (we call it Klick It Forward internally). 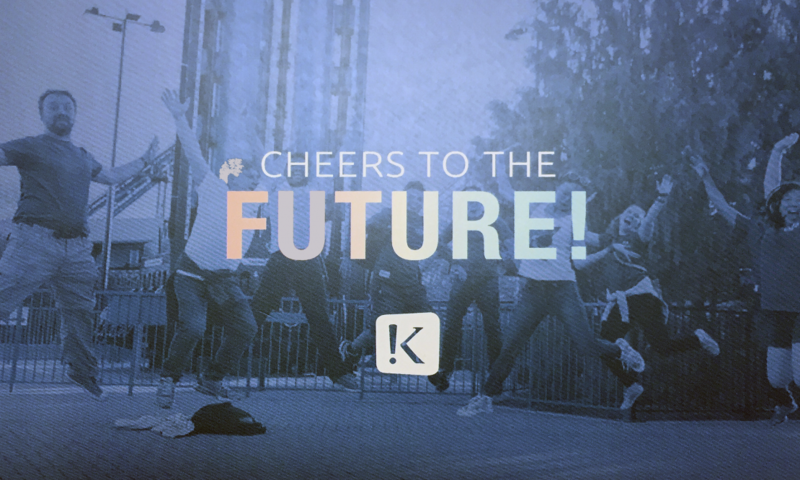 The idea for Klick It Forward came from our COO, Aaron Goldstein. Several years ago, he attended a family Christmas event and was struck by the excess of gifts and wrapping paper. He asked that going forward, a donation be made on his behalf, which quickly caught on as a tradition among the rest of the family. The following year, he was given a catalog from Plan International Canada and was asked to select which items he wanted to donate to. 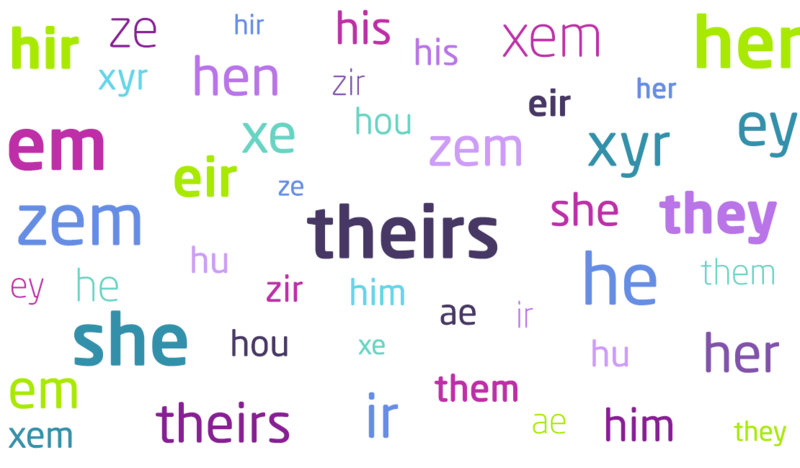 This concept has translated to our current Klick It Forward platform. In fact, Plan was the first charity to be offered on the Giving platform! 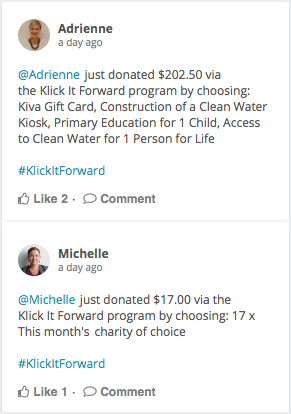 Team members are awarded Klick It Forward dollars based on a formula measuring billable time, so the more team members contribute to the success of the company, the more they are rewarded with Klick It Forward dollars. Mimicking the online shopping experience, Klicksters select items from a catalog, place them in a shopping cart and checkout – it’s really that easy! Once the purchase has been completed, a post is automatically generated in Connect. The most popular options in the catalog tend to reflect the makeup of our teams so it’s not surprising that, as a technology company in the health sciences field, our team members migrate towards items like 3D printing and Genome Sequencing for patients of SickKids. We’re always growing and evolving the CSR program to keep it fresh and relevant for our ever-growing team. In 2018, we began publishing a monthly Klick Cares report. The report highlights all of the previous month’s fundraising efforts and celebrates our top Klick It Forward donors. It’s also broadcast on Connect under Company news and featured on our dynamic display system, SenseiTV, throughout the office, so visitors to our Toronto office can get a feel for our dedicated work in the community. These reports are a great opportunity to acknowledge the tremendous efforts of each fundraising campaign and to give thanks for everyone’s time and generosity to making the campaign a success. We’re always looking for ways to make the Klick Cares experience the best that it can be and we rely on our team members to tell us how we’re doing. One thing that will never change is our commitment to ensuring our charitable programs are aligned with what matters most to Klicksters. Whether your team is just starting your CSR journey or you’re looking to refresh some of your existing practices, I hope you find some inspiration in our Charity Champions’ initiatives and activations that you can implement with your own team! Maya’s passion for philanthropy started at an early age, surrounded by a generous, supportive family that taught her to be grateful for what she had and to help others in need. 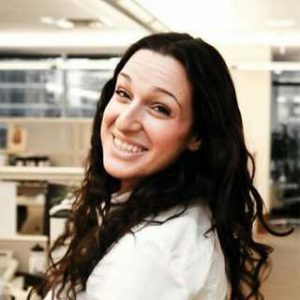 At work, she’s proud to support her colleagues and the causes that matter most to them. In her spare time, Maya enjoys volunteering as a Gallery Guide at a local art gallery and in the future would like to extend this passion to the city’s neighbourhoods, galleries, and other community spaces.